Dutch producer and DJ born 25 December 1976 in Leiden, Netherlands. 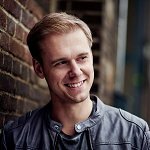 Armin started producing and making music at age 14. He is well known for his early releases like "Blue Fear", "Touch Me" and "Communication" as well as his remixes for several other artists and groups.